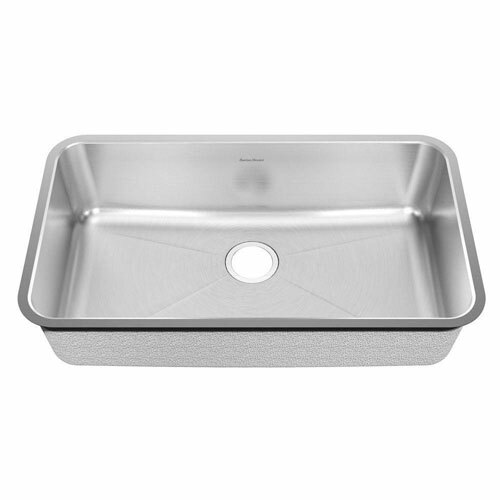 The American Standard 14SB.331900.073 is a large undermount single bowl sink with crease lines on bottom of bowl. Sink is shipped complete with waste fittings, installation instructions, hardware and template. About American Standard brands: Great performance and great looks meet in our complete line of fixtures and faucets for bath and kitchen. Performance and reliability. Coordinated collections. Ingenious features. Item Boxed Weight: 26 lbs.